Go nuts for donuts! We're throwing a sweet donut party on June 11 at Avalon, and you're all invited. Friends, all your donut dreams are about to come true. We're a little obsessed with the fried treat over at Time Out LA (we once ate 264 donuts to find the very best in the city), and thought it was high time that we celebrated donuts in one massive, decadent donut fest. So, uh, we're throwing a donut party. It's going to be amazing. 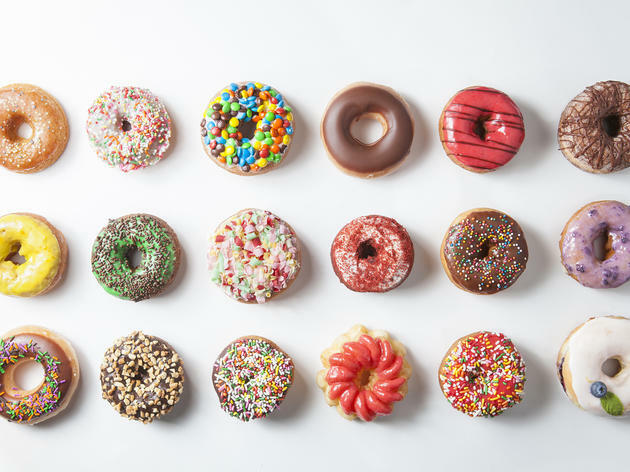 Held at Avalon on June 11, there will be three sessions (10am-noon, 12:30-2:30pm, 3-5pm) where you can sample bites from some of LA's best donut shops, bakeries and restaurants. 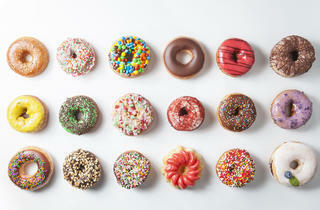 Try frosted, glazed and sprinkled delicacies from ICDC, DK's Donuts, Doma Kitchen, Donut Farm, Spudnuts Donuts and more. Complimentary coffee from LAMILL Coffee, wine from Dark Horse Wine and cider from Strongbow Hard Apple Ciders will also be available, as will flash tats, a DJ and a raffle (raffle proceeds go toward Music Saves Lives). It's going to be the most fun you've ever had eating a donut, and we'll be noshing right along there with you. To choose a session—and to take advantage of our Early Bird Special pricing ($24.20)—snag your tickets here.